The University of Queensland archaeology programme in the School of Social Science offers one of the leading archaeology teaching and research programmes in Australia. They stress “hands-on” training where students acquire a range of laboratory and field skills that prepare them for jobs in the heritage sector. 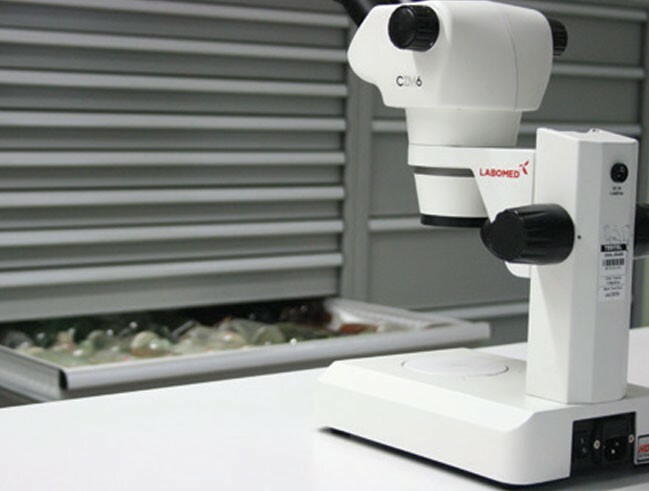 As a result, the programme’s archaeology labs have undergone a major transformation in recent years with the acquisition of new microscopes, computers and data-projectors for lab-based teaching and the expansion of the reference collections in plant, bone, stone and shell, as well as historic and prehistoric artefacts from around the world. 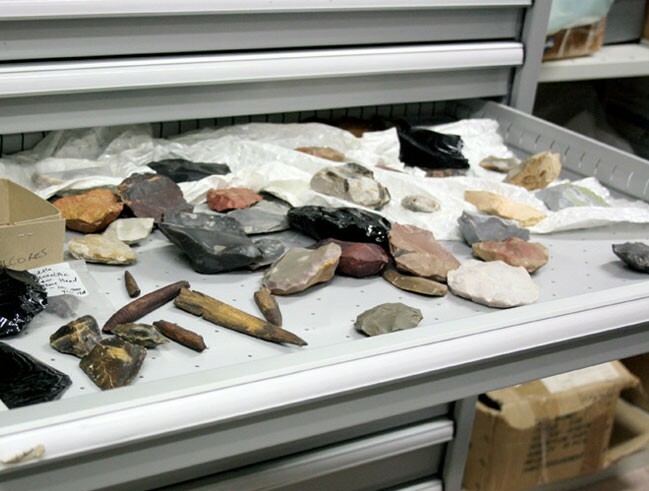 To complement this, the University wanted to update their storage solution to make it easier for students to be “hands-on” and access the collections whilst at the same time preserving the safety and security of the artefacts. They chose OFS Group as their preferred partner to work alongside them in developing a solution. The University of Queensland worked with OFS Group, Boscotek’s Queensland reseller. The OFS Group have been servicing the Queensland business sector since 1977, offering advice and design consultancy. OFS Group pride themselves on providing impartial advice to clients and can select from an array of suppliers when working with customers on a project. They recognised immediately that the Boscotek high density storage systems offered the flexibility in design that a project of this nature required. Boscotek high density storage systems are developed by Wilson & Gilkes who are a Quality Accredited (ISO 9001:2000) manufacturer located in Liverpool, South Western Sydney. Their storage solutions are constructed within a strict set of standards, procedures and protocols throughout every stage of production to ensure delivery of reliable, safe, quality product. These were all important qualities for the University of Queensland. 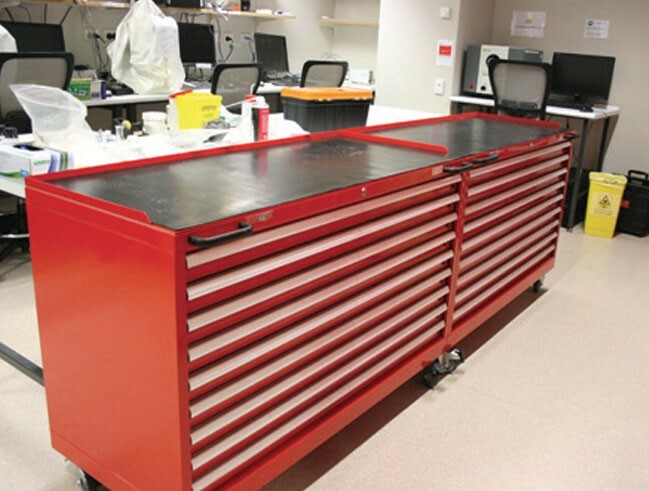 Recently refurbished and re-equipped, the University of Queensland’s Archaeological Science Laboratories provide world class integrated research and teaching facilities for staff and students. The Laboratories also house an array of reference collections including an extensive human osteology and fossil hominin cast collection, a large stone, ceramic and metal artefact reference collections, faunal reference collection (native Australian and domestic species as well as one of the largest Pacific island fish reference collections in addition to marine mollusc, sea urchin and coral reference specimens), adze quarry source samples from throughout Polynesia, and archaeobotanical (Oceania, Europe and the Near East) reference collections. 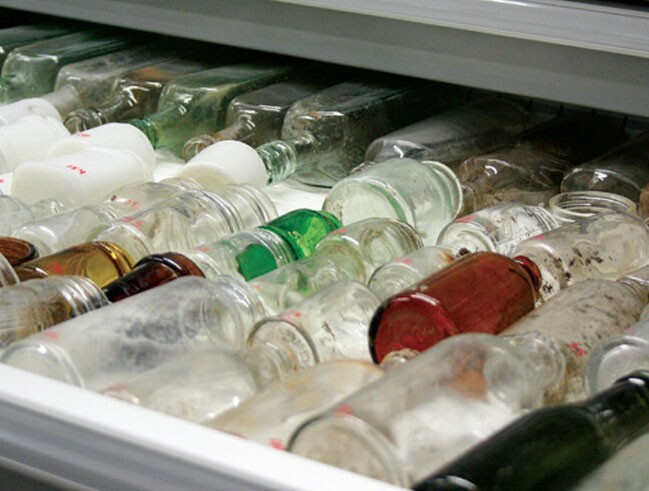 OFS Group advisors learned a lot about the storage requirements of these collections as they worked alongside the Laboratory Technicians to design a high density storage solution that would be both accessible and secure. Boscotek High Density Storage Cabinets. 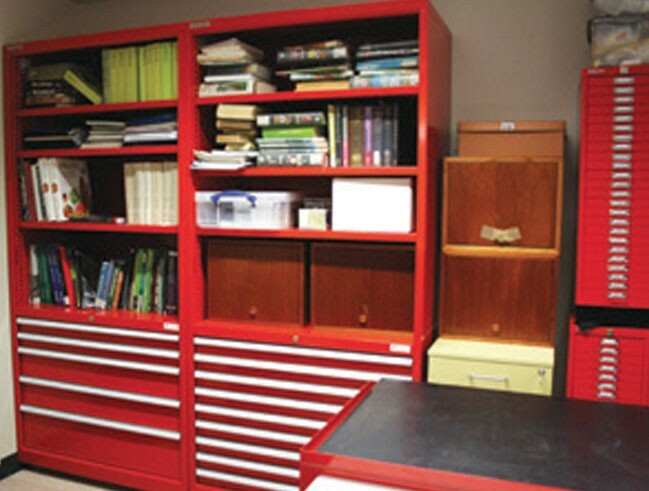 Boscotek high density storage cabinets were configured to meet each collection’s specific needs. By working with OFS Group advisors and selecting the appropriate drawer heights and partitioning systems, Boscotek High Density Storage Cabinets provided a storage system with minimal space wastage and excellent accessibility. Future proofing was another plus as all the drawers use heavy-duty ball bearing runners, secured without screws for easy reconfiguration. Drawer rails are positioned at 25mm intervals to accommodate the various sizes of future additions to the collections. 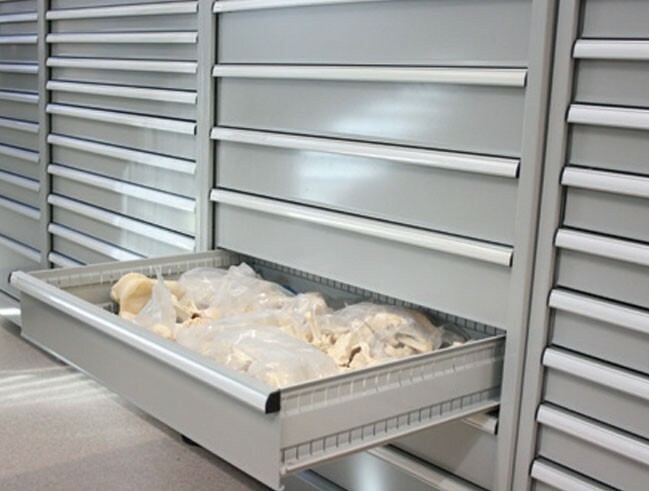 The safety of the collections was also preserved with single piece drawer construction providing increased strength. Single extension drawers support up to 80kg UDL (uniform distributed load) per drawer and drawers with full extension runners supporting between 150kg and 200kg UDL (depending on cabinet width). This is complemented further by the Anti-tilt System. To minimise risk of injury, cabinets are fitted with a unique “True anti-tilt mechanism”. Unlike similar mechanisms on the market, which can be easily flawed the Boscotek “True anti-tilt mechanism” prevents multiple drawers being pulled open at one time. Once a drawer is open all others are locked shut, providing a tangible OH&S benefit, as well as protecting the collections! Finally Boscotek ticked the box for the all-important security issue. The cabinets incorporate a central rear locking system to securely lock off all drawers within the cabinet. This system offers excellent security – by centrally locating the locking mechanism, locks maintain a high level of integrity and cannot easily be manipulated or flawed through excessive force or leverage. The Archaeology Programme at the University of Queensland now has the storage solution to truly permit its students to easily get “hands on” with the reference collections. At the same time they have the peace of mind of knowing that the collections are both safe and secure.